International Veterinary Endurance Conference taking place September 9, three days before the WEG endurance competition and only 30 minutes drive away from the WEG venue. Veterinarians and endurance professionals are invited to join the conference. Tickets will be available from August 1st at a price of $175 including lunch. Accommodation packages are also available. Please click on "interested" on this facebook event to be kept up to date and share this invite with anyone else who might like to join the conference. The first IVEC conference, two years ago at the World Endurance Championships in Slovakia, was attended by more than 80 professionals. This year's IVEC will have some of the foremost experts in endurance veterinary science discuss the latest scientific research. Topics include treatment during competition, pre-purchase exams, genetics, doping, ride strategy and much more. Lorie Duff of Lorie Duff Horsemanship has been invited to represent Team Canada for The Gobi Desert Cup in Mongolia August 22-31. Born and raised in Newfoundland, Duff is a professional horsemanship coach and trainer now based at Liberty Lane Farm in Ottawa, Ontario. People are making their way to Fauresmith in the Free State for one of the toughest endurance races of its kind. Known as the Fauresmith International Endurance Race, over 500 riders and their horses enter each year, coming from all over the equestrian world. President of the Free State Endurance Ride Association of South Africa, Ronell Coetzer, says the distance of the race is 200 kilometres. “Most of the people are going tomorrow. However, the race starts on Tuesday. It’s a 200 km race done over three days,” says Coetzer. Coetzer says the riders and their horses will race for 75km on Tuesday, 75km on Wednesday and 50km on Thursday. She says they are expecting over 3000 people to attend this event, and most guest houses in the town have already been fully booked. The first Euston Park event on the Endurance GB 2018 Calendar took place this past weekend with the venue and participants buzzing at the recent news that the 2019 European Championships has been awarded to Euston Park (GBR). The first of four instalments of the Euston Park Endurance events on the Endurance GB Calendar took place this past weekend in glorious sunshine. The ever-popular venue saw a total of 75 combinations from nine different nations competing across distances from 80km to 160km over two days of competition. With the very recent announcement that Euston Park has been awarded the 2019 European Endurance Championships, the venue was buzzing with excited talk of things to come. British riders competing in the CEI2* had a 75% completion rate, with 7th placed Chaminda Manjula Rodrigo’s ride Bahia Du Cambou having the fastest recoveries of the class – a total of just 10 minutes and 10 seconds, including the finish. There were three classes taking place on the Sunday; the CEI3*, CEIYJ2* and a second CEI1*. First place in the CEI3* went to Saif Ahmed Mohammed Ali Al Mazrouei (UAE) who’s horse, Quetzal Arvorig, took an average of just under 2.20mins to present at each vet gate, an impressive result given the extremely hot weather. There was one British entrant in the CEI3*; Kirsty Wiscombe with her stallion YawlHill Billy. Unfortunately, their day was cut short when ‘Billy’ was judged to be lame at the first vet gate and subsequently failed to qualify for the next phase. Better luck was bestowed upon the only other two British entrants, both of whom were competing in the CEI1*. This class had an extremely impressive 82% completion rate with Nicola Thorne (riding LM Bolena) and Charlotte Strang (riding Bolero Phantastik) finishing in 8th and 9th positions respectively. A huge amount of effort went in to ensuring the very best for horses and riders alike with such testing conditions. Unlimited ice was available on both days helping to cool the horses as efficiently as possible. A number of improvements have been made to the tracks since last year, with the ground more forgiving, despite there only being 7mm of rain in the seven weeks running up to the event. Tracks were watered on a regular basis to minimise the dust and some crew points had been moved to ensure crews had more consistent and better access to their horses out on course. Event Director, Nick Brooks-Ward of HPower Endurance, said: ‘This was a great start to what promises to be a fabulous summer at Euston Park culminating in the H.H. Sheikh Mohammed Bin Rashid Al Maktoum UK Endurance Festival on Friday 17, Saturday 18 and Sunday 19 August—a celebration of all things Endurance. There’s huge excitement around the venue with this week’s news about us winning the bid to host the European Championships here in 2019. As ever huge thanks go to the Duke of Grafton for allowing us to use Euston Park for another year, to local land owners and all of our stewards and volunteers.’. Dalila from the Royal Cavalry secured first place in the 2-Star Endurance horse race held in Paris, which was organised by the International Equestrian Federation over 120km. The race saw a participation of 41 horse riders from different countries. The Royal Cavalry are preparing for the 2018 World Equestrian Games to be held in USA. National riders Phat Makara and Sim Narith, representing the Phnom Penh Equestrian Club, won the 30km and 20km events respectively in the inaugural Royal Angkor Endurance competition, hosted by Happy Ranch Siem Reap under the patronage of His Majesty King Norodom Sihamoni on Sunday. Several riders from the Thai Equestrian Federation and Thai Polo Club joined more than a dozen Cambodian riders, including members of the bronze medal-winning national squad at last year’s SEA Games in Malaysia. Among the clubs sending entries were the Cambodian Country Club, Phnom Penh Equestrian Club, Areyksat Club and Siem Reap’s Happy Ranch. Manama, June 25 (BNA): HH Shaikh Nasser bin Hamad Al Khalifa, Representative of His Majesty the King for Charity Works and Youth Affairs, Chairman of the Supreme Council for Youth and Sports, President of Bahrain Olympic Committee, confirmed that Bahrain Royal Endurance Team is maintaining their momentum thanks to the high spirits surrounding the team following their victories from one race to another. 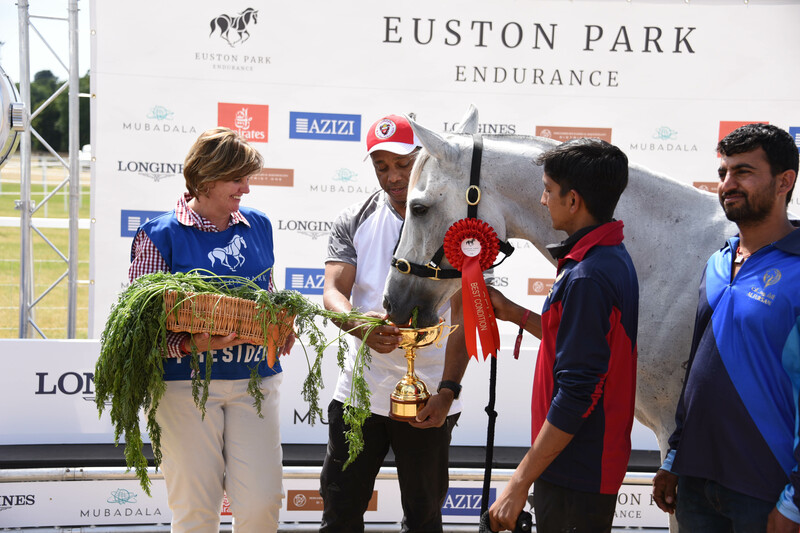 HH Shaikh Nasser’s remarks were made in a comment of Bahrain Royal Endurance Team’s triumph in the Euston Endurance Ride, held in Britain, winning the first five spots in the 80 km category which featured broad participation from world’s top competitors in this sport. It’s of worth noting that Bahrain’s Khalifa Mubarak won first place in the race clocking 04.04.21 hours; in second place came the compatriot Khalifa Jamal clocking 04.04.22 hours; in third place Khalid Yusuf clocking 04.04.23 hours; in fourth place Yacoob Al Hammadi clocking 04.04.36 hours; in fifth place Raed Mahmood, who posted a time of 04.04.36 hours. The training of horses was supervised by the trainers Abdulrahman Abdullatif and Sumaya Jassem. Bahrain’s Abdulrahman Al-Zayed won the fifth place for the distance of 160 km, and his horse was ranked among the elite horses, alongside HH Shaikh Nasser bin Hamad Al Khalifa and Raed Mahmood, qualifying him to participate in the world championship which will be held in Tyron, USA. FEI has released its annual Endurance Report for 2017. The report includes statistics on the growth of the discipline of endurance, key performance indicators of 2017, independent governance advisors, endurance official statistics, and information on the FEI coaching system. Fazenda Nossa Senhora de Lourdes, Jaguariúna, São Paulo, Brazil. Saturday 16 June 2018. Third Stage of the São Paulo Championship also featured the National Endurance Competition of 160km (selection ride for WEG in Tryon), 120km and 80km. At 5:30am on 16 June, the competitors of the CEI3* 160km (divided in six stages of 34 km, 32 km, 27 km, 27 km, 23.5 and 17 km), gathered for the most important ride of the day because it was the last opportunity to get selected for the 2018 WEG Brazilian Team. 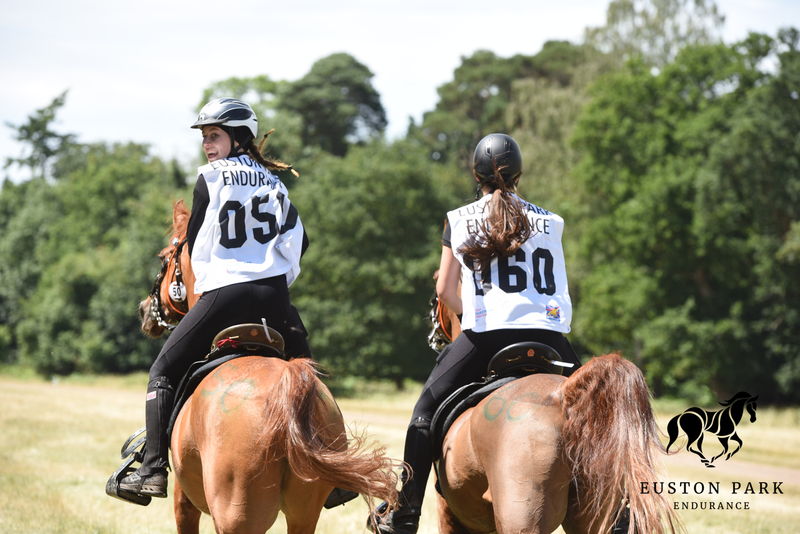 The FEI Bureau has confirmed that the FEI European Endurance Championship 2019 will take place at Great Britain’s 200-acre Euston Park venue, set in Thetford Forest from the 15th to 18th August 2019. Endurance GB is delighted to confirm that the application for Euston Park (GBR) to host the European Endurance Championships 2019 has been announced as the winning bid. The FEI (Fédération Equestre Internationale) issued a Press Release on Wednesday 20th June confirming various Championship allocations in 2019 and 2020 following the decision of the FEI Bureau. Full details on the FEI Press Release can be found here. Hosting the European Championships will present a unique opportunity for the sport of endurance riding in Great Britain and the Championship Organisers, HPower Endurance. EGB is confident that this will deliver a strong and concrete legacy for the sport going forward. Having this Championship ‘on the doorstep’ will make competing at such a level tangible for the many EGB members, both Senior and Young Rider, looking to step up on to the International scene. Event Director, Nick Brooks-Ward, commented “We are delighted with this announcement. We are about to start our third summer of rides at Euston Park and we believe that the previous two years have given us the opportunity to bring together a team which has the experience, knowledge and expertise to get the very best out of this stunning venue. We have already started work on the Championships”. Nicki Thorne, added, “We look forward to giving a very warm welcome to endurance nations from across Europe who will send their elite athletes to compete in the European Championships in what will be the highlight of a spectacular festival of endurance in an iconic location”. Euston Park is set within the beautiful Suffolk countryside and will give riders from across the continent the chance to take in magnificent historic parkland, ancient forests, woodlands and river crossings – all on well-maintained tracks with minimal roadwork. An incredible experience for athletes, spectators and endurance fans alike. Endurance GB and HPower Endurance is look forwarding to welcoming Europe’s Endurance Elite next year… the countdown has begun! Equestrian Australia (EA) is pleased to announce its Endurance short list for the FEI World Equestrian Games™ Tryon 2018, in the USA. Congratulations to both riders and we wish them the best of luck with their preparations over the coming months. Fancy sitting on a horse for 10 days, travelling 1,000 kilometres through gruelling terrain with temperatures ranging from -5 degrees Celsius to 35C? Not for one Australian family. Henry Bell and his three cousins, Rob, Ed and Jack Archibald are gearing up to race the Mongol Derby in August. They are doing it to raise awareness of multiple sclerosis, a disease that has left Henry's dad, Rob Bell, wheelchair-bound. 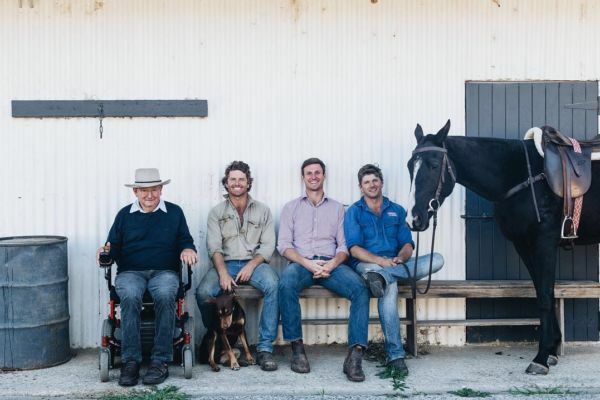 "The concept of the ride was the Archibald boys, they were the ones who decided to do it and Ed's been the big pusher of raising money and awareness for Dad on behalf of MS," Henry said. Mr Bell, speaking from his property south of Goulburn, said his son's and nephews' efforts were "flattering". Brasilia Country Club, Brasilia DF, Brazil. Saturday 26 May 2018. First Stage of Chevaux Endurance Cup also featured the Brazilian National Championship of 160km and 60km in Brasilia Country Club. Less than a month after winning the Brazilian National Championship in the 120km, with Al Saida Larzac, Pedro Stefani Marino, this time riding RG Komo, dominated the 160km race which was divided into six loops. Pedro Marino became the first Brazilian to win two important titles in the 30 years of endurance racing in Brazil. A trustee of the Lady Khama Charitable Trust (LKCT), Christian De Graaff has applauded the Ghanzi Horse Endurance Relay (GHER) riders for their commitment and sacrifice. De Graaff, who is also the co-founder of the GHER, said the riders had ensured a successful relay since inception in 2009. He said the main objective of the initiative was to raise awareness on horse endurance riding as well as helping disadvantaged members of the society. He was speaking at this year’s GHER stop-over in Sekoma on Wednesday, which started in Ghanzi and will end in Gaborone. The relay, which covers a distance of over 700km in four days, is intended to raise funds for the LKCT. “These young men and women that you see here today, embarked on this four day long endurance relay from Ghanzi to Gaborone to raise awareness on endurance horse-riding in Botswana, and more importantly, to raise funds for the Trust. For their efforts and sacrifice, we will forever be grateful,” he said. A representative of the GHER riders, Seeiso Maine said their journey was a mixed one where they encountered challenges along the way. He said even though the relay was fun, they were faced with challenges such as wild animals, especially dangerous snakes. He urged young people to come forth and join them to keep away from the streets and also play a role in contributing to helping the less-advantaged members of the society. Chef d’Equipe, Jo Chisholm, commented “All being well, the Definite Entries (which will be submitted on 19th July 2018) will constitute all three of our selected combinations. We are really happy with team for this Championship – we have a great mix of experience and new combinations to this level”. Athletes must be aged between 14 and 21 and horses must be a minimum of 8 years old in order to compete at the Regional Championship. The 120km course is made up of four loops of 33km, 28km, 31km and 28km respectively. Pre-Ride vetting takes place at 4pm on the 25th July and the ride itself will start at 6.30am on the San Rossore Race Course (Pisa, ITA). FEI Medals are on offer for both team and individual podium placings with a prestigious Best Condition Trophy also to be won. This will be Kate Atkinson’s third Championship, her second with selected mount DNS Ronaldo. The pair unfortunately failed to complete at their previous Championship, the Junior and Young Rider World Championships last year, also held in Italy. They will be looking to better their result this year and continue the excellent form we are used to seeing with this talented pair. Charlie Chadwick with Hazelcroft Gosens Tsar will be tackling their second Championship course together. This combination was selected to represent Great Britain in 2016 where they travelled to Portugal as part of the British Team. An unlucky result saw their dream end at the second vet gate – so another combination with some demons to put to bed! Charlie and Tsar have been competing at International level together since 2014 so they know each other well and are sure to put in a great performance this time round. A new combination in 2018 is Ollie Holman and Bronze Nahdir – that said, they’ve certainly arrived with a bang! Ollie has been competing in FEI competitions for just two years, but partnered with Bronze Nahdir, they have a perfect record this year competing two CEI2*, both in first place. Whilst they may be a new combination, Bronze Nahdir is more than used to the International scene having been competing in FEI Competition since 2014. The GBR Young Rider team is being supplied team kit by sponsor Musto so they will be looking super smart to represent their country at this prestigious event. Horse and Rider profiles will be shared shortly and definite entries confirmed on the 19th July 2018. Further information on the event itself can be found on www.endurancelifestyle.it. A “record” 52 riders are contesting the upcoming athlete elections: so gushed a recent FEI press release. Well, it wouldn’t exactly be difficult to create a record: it is only the second time these elections have been held and – like any other new concept that people didn’t quite get at the outset – awareness first time round was inevitably muted. Still, you can only applaud that so many active international riders want to shape the future by serving as athlete representatives on the FEI sports technical committees for the next four years. Despite the FEI’s random efforts to engage a more diverse population in policy-making, turn up at any FEI forum and you’ll quickly notice that 95 per cent of equestrian politicians are gray-haired and gray-suited. So, in view of the surge in interest for the 2018 renewal, I hope the FEI doesn’t regret slashing voting rights to the elite few hundred riders, drivers and vaulters that have competed at recent Olympics and/or world championships. This mass disenfranchisement is a total contradiction of everything done – some of it arguably to the detriment of sporting prowess – to embrace the emerging equestrian nations. The voting change was suggested last summer by the International Jumping Riders Club (IJRC) https://horse-canada.com/cuckson-report/voting-rights-and-wrongs/ Their opposite numbers in dressage and eventing knew nothing about it till the ink was dry, and tell me they would have opposed it, had they realised in time. The FEI’s rationale for implementation was that very few people voted in 2014 – just 431 of 10,855 eligible riders. Padise Equestrian Centre, Padise County, Estonia. Thursday 24 and Thursday 31 May 2018. In 2017 Padise Equestrian Centre hosted two FEI Endurance international events, this year Padise Equestrian Centre will host six endurance events under the Padise Endurance Festival. The Padise Equestrian Centre is the brand-new capital of equestrian sports in Northern Europe located in beautiful Padise County, Estonia, near the cost of the Baltic Sea. The third and fourth edition of the Padise Endurance Festival were held on 24 and 31 May 2018. These events gathered riders from dozen of European countries as well as from the UAE., including the Crown Prince of Dubai His Highness Sheikh Hamdan bin Mohammed bin Rashid Al Maktoum who won the competition for 160 km at Padise Endurance Festival IV. A young Uruguayan endurance rider has been suspended for two years and fined 3,000 Swiss francs by the FEI Tribunal after her horse tested positive to a substance associated with lowering the heart rate. Victoria Goni, 22, argued vehemently that the presence of banned substance ergonovine in El Mate’s sample was caused by contaminated feed. Uruguay has a known problem with an arable fungus which can cause a disease called ergotism linked with alkaloids including ergonovine. In worst cases, ergotism leads to gangrene of the limbs. In order to get back in the saddle and win the most meaningful race of his entire life, jockey Donie Fahy had to go to the ends of the earth. In August 2012, Fahy took part in the Mongol Derby, an equine endurance race fashioned after the postal route used by Genghis Khan in the early 13th century. While simply crossing the finishing line of this gruelling 10-day and 1,000km-long marathon is a feat in itself, the unassuming Meath man won it.